Custome Framing and Fine Art Sales for over 23 years! 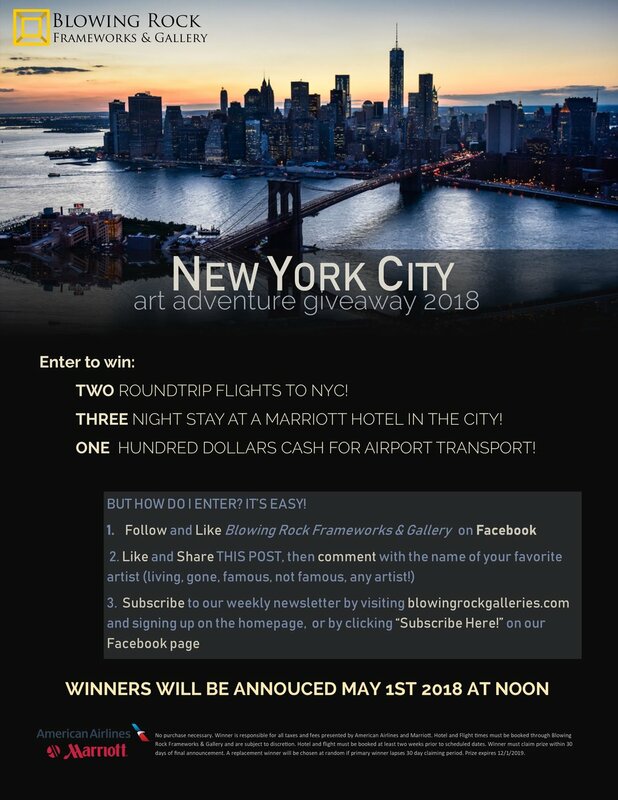 A Breath of Fresh Air- New artists welcomed to the gallery! 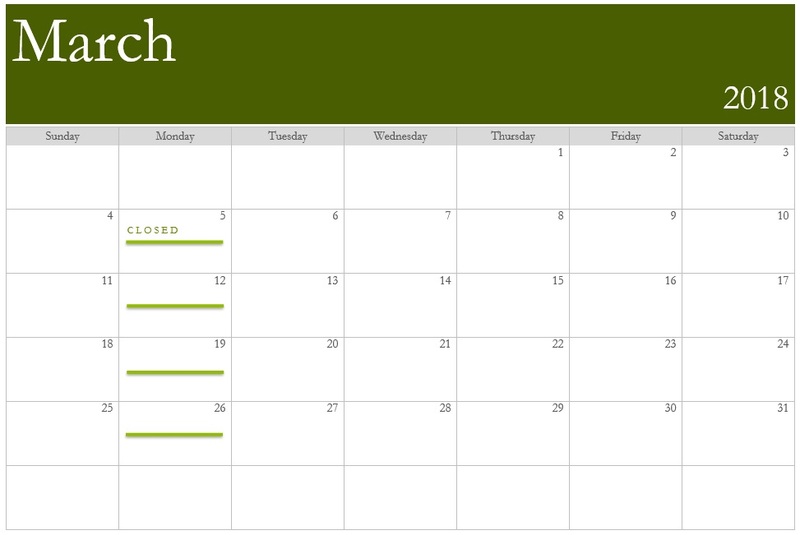 Winter Hours and Holiday Closings! 12.23.18 through 01.01.19 > Happy Holidays and Happy New year! 02.01.19 through 02.28.19 > It’s a short month, no worries, we will return soon enough! Please call us at 828.295.0041 with any questions! Small Business Saturday: Fall Savings! Have a special gift in mind for the upcoming Holidays? Now is the perfect time to get your gift framed up and ready to give to your loved ones! We are offering 10% ALL FRAMING ORDERS in celebration of Small Business Saturday, November 24th, 2018. This sale will run through Saturday, December 8th, 2018. You’ll have plenty of time to take advantage of this great deal! Thanks for shopping local and supporting small businesses! AUGUST 6 - 20: "Small Works: A Group Exhibition"
14" x 18" and under, featuring all of the gallery's artists. Blowing Rock Frameworks & Gallery has spent over two decades displaying the works of a variety of local and regional artists. Focusing mainly on landscape and wildlife themed art, the gallery also specializes in antique paintings of the Hudson River Painter period, specifically North Carolina's prolific Elliott Daingerfield. This summer, August 6th through August 20th, Blowing Rock Frameworks & Gallery will feature "Small Works: A Group Exhibition" in which all the work on display will be 14" x 18" inches and under. Some of the artists who will be featured include Jason Drake, a well-known and well-loved local painter, famous for is Andrew Wyeth-esque oils and egg temperas. Aside from beautiful technique, Drake paints very specific subject matter: beautiful moments of time we rarely stop to appreciate. From portraits to landscapes, Drake captures the simple sentimentality of memories that we so easily overlook. Mark Kelvin Horton, a gallery owner and talented painter in Charleston, South Carolina who is well known for his low country marsh scenes will also be featured. Blowing Rock Frameworks & Gallery has the pleasure of displaying Horton's High Country scenes, farm landscapes, and mountain vistas. "Red Barn in Valle Crucis"
Another artist, Robin Wellner will be on display, her cool palette and textural plein air paintings create a nice contrast to the more representational artists in the show. Wellner joined the gallery in 2016 and has developed a sucessful following of collectors. In contrast to Wellner's abstracted plein air landscapes, Karla Mann's beautiful wildlife paintings will also be featured on the gallery walls. Mann is an internationally recognized wildlife artist, whose detailed animal paintings are practically indistinguishable from reality. "Deep in the Forest with Mom"
In addition to the artists already mentioned, pieces by Fred Sprock, Dave Syfert, David Starbuck, Lita Gatlin, Edigio Antonaccio, Wes Waugh, Kyle Buckland, and George Snyder, will also be on display. For any questions please call the gallery at 828.295.0041 or visit the website, www.blowingrockgalleries.com, to see more examples of the artists work. Blowing Rock Frameworks & Gallery will host a reception for all of the artists participating in the group show on Saturday, August 11th from 5pm to 8pm. Please join us for an amazing July show, featuring two of our most well-known, long-time artists: Wes Waugh and Lita Gatlin. Both Waugh and Gatlin have been involved and selling their art at the gallery for over a decade. These artists will be featured together to highlight the contrast in the mediums they use. They paint similar subjects and both have a bright, rich palette, yet Gatlin is an oil painter, and Waugh uses a softer medium, watercolor. 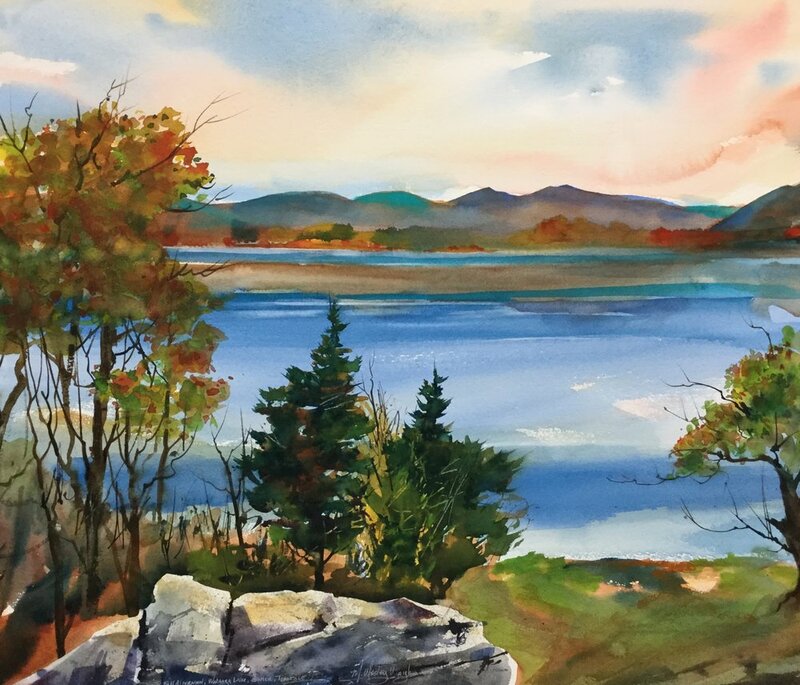 Wes Waugh, a High Country local, is a man of many skills, his most refined skill being watercolor. Waugh is an amazing watercolor artist who has an eye for color and amazing techniques. Waugh focuses mainly on mountain scenes from Western NC, but he is known to paint the Montana landscape as well. Waugh's colors stand apart from many watercolor artists, in that they are vibrant and sometimes unconventional. Wes uses wet on wet techniques to create beautiful blends in colorful skies, or wet on dry to create sharp distinctions of rock formations or even old farmhouses. Lita Gatlin also paints local scenery: large renditions of well-known local panoramas, captured in amazing technicolor. Her style straddles the line of abstraction and representation, capturing the nature of a place, while emphasizing the color and light with an interesting palette. Gatlin is an avid trail-runner and hiker, so she captures her subjects on the go and takes the photographs back to her studio to translate them into masterpieces. Gatlin is Blowing Rock Frameworks & Gallery's best seller. at the gallery for a reception. Refreshments will be provided and the artists will be here to discuss their work. 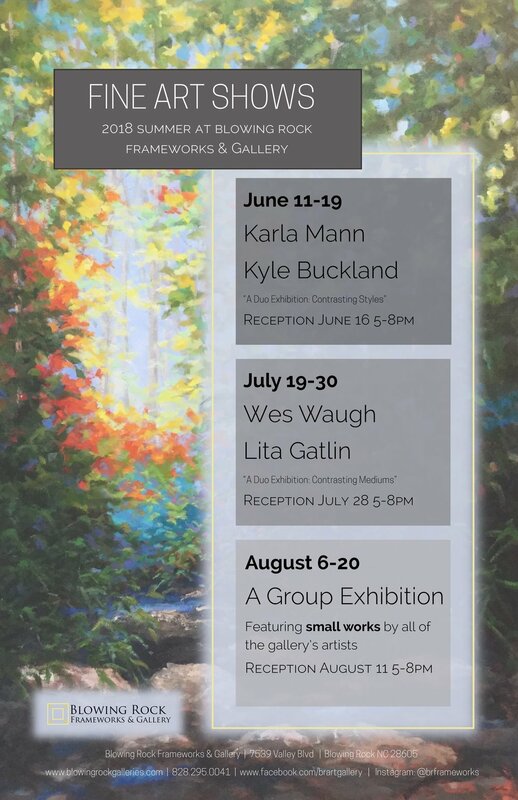 Join us JUNE 11-19 for our first art show of the summer, featuring artists Kyle Buckland and Karla Mann. The show, titled "A Duo Exhibition: Contrasting Styles", will highlight the varying styles between the two artists. Kyle Buckland is a plein air impressionist painter. His style focuses on using bold brushstroke and vivid color to capture a moment in time. As a plein air painter, Buckland ventures out into the world with his paints, where he is subject to weather conditions and varying light which he manages to capture beautifully in his landscapes. Buckland aims to capture the feeling of a fleeting moment in nature by using heavy paint application to create more than what meets the eye. Karla Mann is an internationally recognized wildlife painter. In contrast to Buckland's style, Mann is a hyper-realistic painter. Her process is quite involved; first, she sets out on adventures with her camera, and captures thousands of images of wildlife all over the country (and the world!) Some of the wildlife can be routinely seen, like squirrels, bird, etc. Some of the wildlife she captures are rarely seen by humans, like bears, stags, and otters. Mann is determined to paint detail for detail what she sees in the photographs she takes. She aims to lend insight into the lives of these creatures in their natural habitats. Join us SATURDAY, JUNE 16 from 5-8pm for a reception to meet the artists and enjoy their work. Please call the gallery at 828.295.0041 or email us at brart@bellsouth.net with any questions regarding our upcoming show. or in the studio, Horton is particularly fascinated with the effects of light and weather upon the landscape. He paints beyond a literal interpretation of a scene to portray nature in a way that reflects his own ideas and sensibilities while capturing the spirit, color and changing light of a place. We are closed February 3rd - March 6th, 2018. Biltmore Giveaway 2017: Click here to learn how YOU can win a trip to the Biltmore Estate! I wanted to get going on this pursuit, whether it was time for me to launch, for me to take a leap of faith like he would." Jason Drake featured in July 2017 Volume of High Country Magazine. Check it out here! Robin Wellner, "Blue Ridge Impressions: Brush and Knife"
This feature story showcases two artist's that have widely different techniques for painting, one being representation and the other abstraction. Though these opposing techniques differ, the end result is quite similar and quite stunning. Featuring artists Loren Berry and David Starbuck. Featured here is a short summary of the three art shows we will have in the gallery this summer. A short story on the locally acclaimed Folk Artist known as Wiili. Tuesday through Saturday 9am to 5pm or anytime by appointment.Click here for contact information. © 2018 Blowing Rock Frameworks & Gallery, LTD. All Rights Reserved. Images not to be copied or reproduced without express permission.